Polar bears at the Moscow Zoo were in heaven, but millions of residents in the Russian capital certainly were not as a snowstorm – yes a snowstorm in the middle of April - brought gasps and groans from city dwellers. Winter fur coats were hastily unpacked, while those who had been putting off changing their winter tires – probably through laziness – were blessing their good fortune. Muscovites took to social media to make their feelings known, with sarcasm certainly coming to the fore. Some were questioning that global warming had by-passed Moscow, while others just let pictures do the talking. 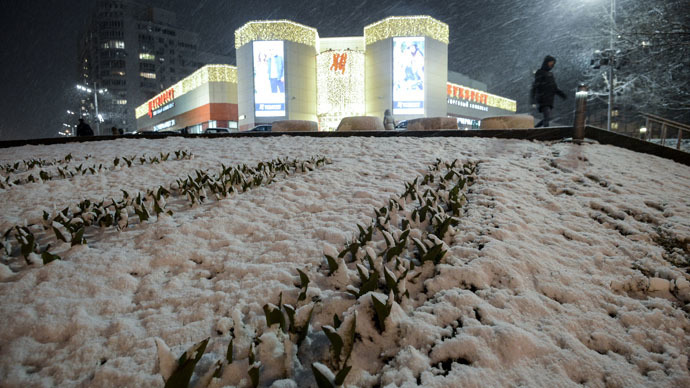 Despite being closer to summer, rather than spring and let alone Winter, Moscow was hit by a weather anomaly. An unexpected cyclone brought a front of cold weather to Central Russia. Meteorologists say the unseasonal chill is likely to last until the weekend. However, they expect the temperature to return to ‘normal’ at the start of next week.